Pam’s new children’s readers for beginners have arrived. They go through all the Code Cracker Curriculum, from Solos to Squads and all Detective Cases! Each book has interactive properties explained in the Teacher’s Edition, which also gives you comprehension questions for each of the books. 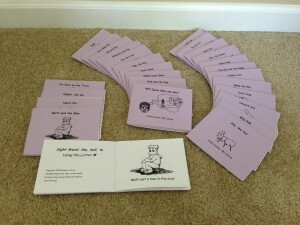 They are progressively harder, ranging from kindergarten to 3rd grade. 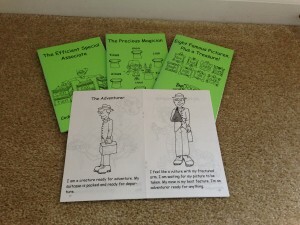 Each book can be bought separately, or bought in sets for applied discounts. See our price list for further details about cost and payment. 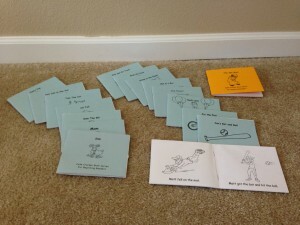 The ABC Books are just that- books that go through the individual sounds of the alphabet. They include 26 books that will help your child understand the building blocks of our language, while laughing at the adventures that the members of the alphabet have! Solos represent the individual letter sounds. 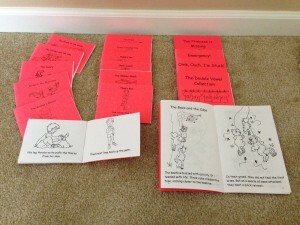 There are 16 books, each with its own unique character. When you buy the set, it also includes an introductory story about the Spy Guys! Duos are two letter combinations that make one sound. The Duos are taught directly after the Solos. There are 11 smaller books, and 4 in the larger format. Each Duo has its own story! Squad Books are in a larger format, consistent with their larger letter combinations and stories. 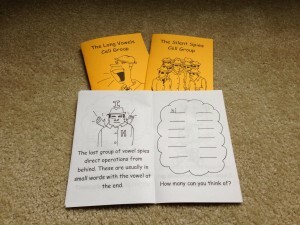 Squads are three to five letter sounds that combine to make a phoneme. A phoneme is a phonic sound. Read and learn about these combinations while having loads of fun with your kids! 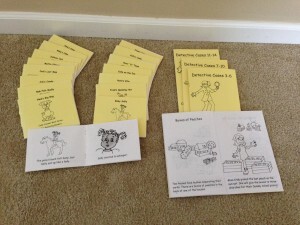 The Detective Cases cover the most common Reading/Spelling Rules. There are 15 smaller books, with 3 in the larger format. They cover all the detective cases taught in Pam’s curriculum. These books will teach you all about these rules! Spies are letters or groups of letter in disguise. If the letter is not making its most common or normal sound, you’ve discovered a spy. When they are too small to be considered a detective case, they become a spy cell. Can you find all the spies in disguise?